Today, exactly ten years ago, a terrible tragedy happened that would change Western society’s attitudes and mental state forever. The social and political implications of this event have yet to be dealt with; some are surfacing just now, others have occupied us for years. And while this topic may offer all sorts of fodder for conversation and reflection, I find it interesting to reduce it to the most individual level: my own personal account of how I experienced the terrorist attacks on September 11, 2001. In September of 2001 I was 15 years old and I had never been away from home for more than a few weeks, yet of all the places that I could have been on that particular fateful day I found myself in the United States of America, in a small town close to the Bible Belt but far away from any liberal urbanity that I had grown up with. I found out later that we had been the first class in the whole school to watch the news, because our room was closest to the secretary’s office. The others were informed only later over the speakers. I think I must have watched about ten minutes of live coverage before I had even the vaguest idea of what was going on. 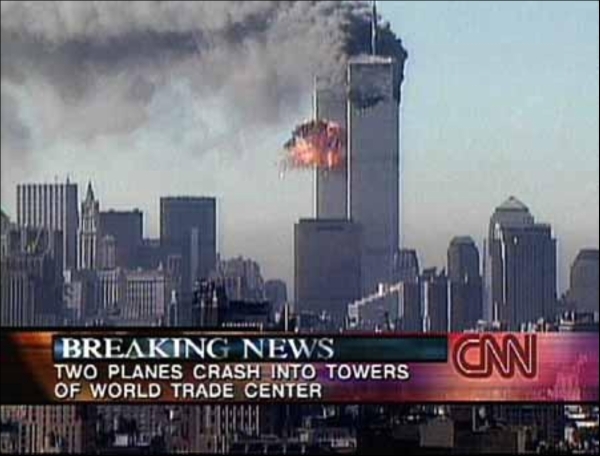 And before I was able to process anything, the second plane hit the second tower, right then and there, right in front of my eyes, even though I was hundreds of miles away from where it happened. I remember watching the impact. I remember watching the towers collapse, a while later. I don’t remember what I was thinking about during that time. But I will never forget my teacher’s voice: “Guys, remember that you are witnessing a historical moment.” He had a sense of pathos, good old Dr. Sch., I thought. During lunch time everyone was talking about it, but not with fear or anxiety. They were excited, they were giggling. I remember wanting to ask them: “What does this all mean? What does it mean to you, to your family, to your culture.” But they didn’t seem interested. Do you have family in New York? Will the gas prices go up? Are we going to go to war? These questions didn’t become relevant until much later. Back home after school the TV was on the entire evening. That was nothing unusual, except that the home shopping and cartoon channels and the wrestling championship had been replaced by the news, and nothing but the news. It would stay like this for many days, and I watched the same footage over and over again, while the names of dead people were streamed on the bottom of the screen. One might have thought that the consequences would be felt immediately, but little did change over the next few months. Sure, some people resorted to hoarding, the sermons in the local churches became more dramatic, and some believed the Antichrist was coming in the shape of Osama Bin Laden, but overall the population in rural America seemed to remain calm. The creeping paranoia evolved much slower and more subtly than one might have expected, but it erupted in sudden irrational reactions, for example when after a near-by gas explosion the high school refused to let us go home and made us stay in our classrooms for hours. Another time my host family started asking me really weird and personal questions about my father. It turned out that they had found strange spam on their computer (“Win a greed card!”) and accused my father of spamming my emails, while he was trying to enter the states illegally. I became aware of my own mortality, and it made me paranoid. I’m not sure if it happened long after the attacks or before them, but I know that I have developed a fear, a fear of dying in a terrorist attack, that is slightly irrational and that prevents me from living the carefree life that I used to know. I get slightly uncomfortable in crowded spaces, especially in airports and metro stations. I start noticing people that look slightly “suspicious” in that they seem nervous or carry strange luggage. I get anxious when I find seemingly unaccompanied bags or other items. I have left rooms and other spaces because of that. I have decided to not get on the metro and wait for the next one instead. I know how silly I acted but I couldn’t help it. I couldn’t fight the fear. I find myself noticing suspicious people, but they are not necessarily Arab, not necessarily “foreign-looking”. However, it wasn’t until 9/11 that “Arabs” or “Muslims” entered my mind as some sort of category. I used to be familiar with immigrants, with the Turks living in Berlin, but I never thought of them as a particular group of people in terms of culture or religion. I didn’t know any personally and so they never entered my radar. I understand that this naiveté was based on ignorance but also on a certain innocence. Not having an opinion meant at least I didn’t have a bad one. All of a sudden they were everywhere, those “Arabs”, those “Muslims” with their strange laws and customs and religion, but now they had become dangerous, a constant threat. Careless ignorance had developed into suspicion and hatred. Today, I find myself defending “them” (as if they were a homogenous group, but unfortunately they are often being presented as such) against islamophobic bigots, racist immigration policies and critics of multiculturalism. Even though we seem to have so little in common. Yet somehow I know that there is something more important at stake here. Something that not only threatens our security, our well-being, but our basic humanity. 9/11 didn’t cause this. 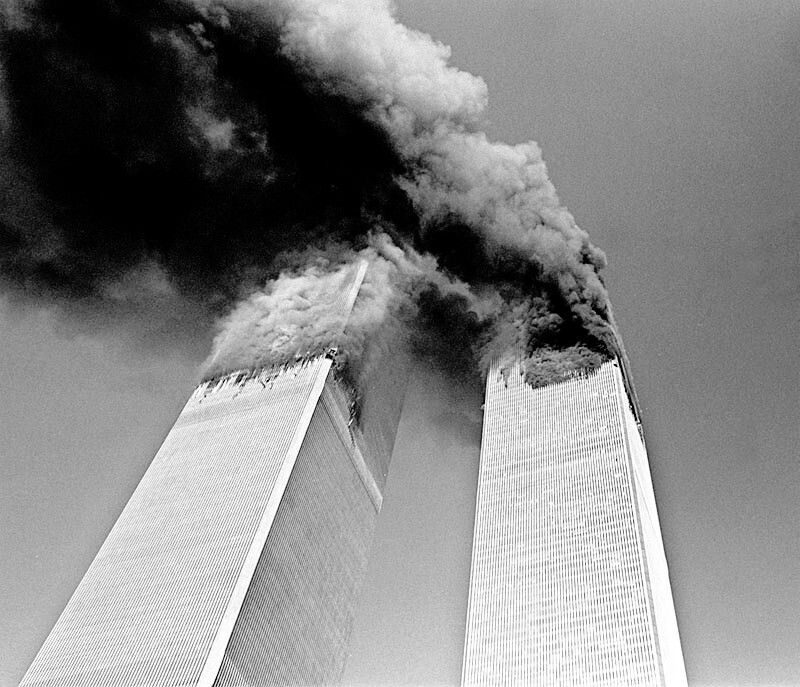 9/11 triggered certain sentiments that had been brooding for a long time. 9/11 has done a lot of damage to us all, but it has made me the person that I am today: anxious, worried, but also angry and reflective and striving to change things, while not letting fear get the better of me. Feel free to leave your own story in the comments.